Nominated for nearly sixty Detroit Music Awards in recent years, Carolyn Striho won Outstanding Rock/Pop Songwriter of the Year two years in a row, 2015 and 2016. Other big award wins include Outstanding Americana Album of the Year 2014 for Word Attack and Outstanding Rock/Pop Album of the Year 2010 for Honesty. Besides her famously charismatic live shows at many festivals, clubs, and art galleries in the Midwest and Canada, she has five tours of Europe under her belt, as well as a two-month stretch in Japan, opened for Steve Earle in England, and has performed in Detroit, Toronto and London with Patti Smith. Carolyn is best known for her new music and catchy, magically intense live shows and songwriting. Her live performances with her latest band, her legendary shows and writing fronting the well-known Detroit Energy Asylum band, with Patti Smith, and her punk/art rock years with Rough Cut and the Cubes, as well as performing with Don Was and the Was Not Was Band, Iggy Pop, the Ramones and the Slits, Carolyn’s latest projects include a brand new album to be released in 2016, negotiating a new national publishing deal, and working on a poetry book and memoir. 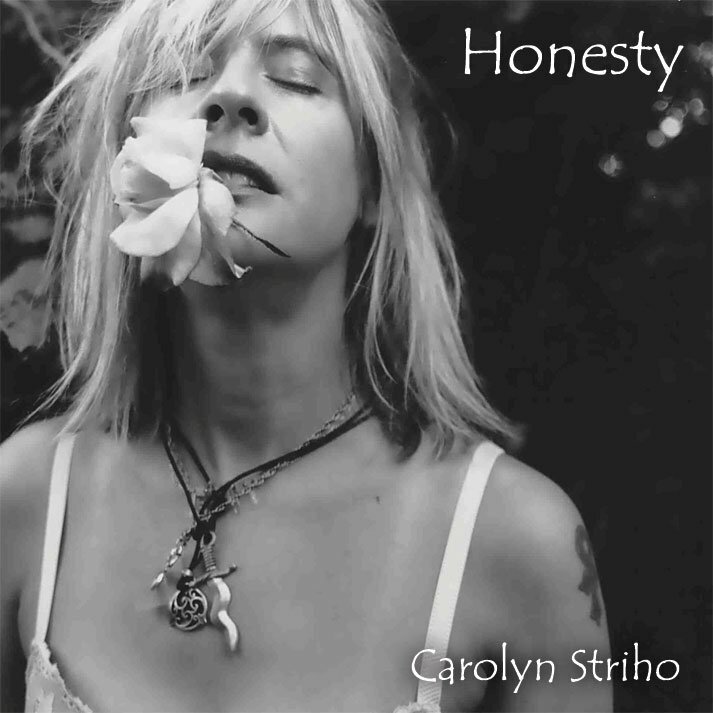 Carolyn Striho has been creating music in punk, folk, rock and roll, jazz, blues as a singer/songwriter musician and performer for many years. Her dynamic concerts, full of passion and creativity, make Carolyn a regular on the festival circuit. She brings her charismatic performance to clubs and art galleries all over the Midwest and Canada, also touring in the UK, Italy, and Japan. Her high-energy shows often include Striho playing keyboard with the heel of her boot or her forehead; she deftly switches between guitar and keys while belting out vibrant vocals. It’s not merely about the music, it is a full on presentation of her art. Carolyn is a frequent Detroit Music Award winner and has received 11 Detroit Music Awards, a Billboard Music Award and was on the Grammy Awards 2018 Ballot for Best Rock Album for her latest full-length CD Afterthought. Carolyn has performed/recorded with Patti Smith, Don Was, Yoko Ono, Iggy Pop, Steve Earle, Tori Amos, Sinead O’Connor, The Ramones, Dave McMurray, Thornetta Davis, Grace Jones, Sponge and others and has performed in London, Rome, Japan, Toronto, Chicago, Lollapalooza, Detroit Jazz Festival, Arts Beats & Eats and more. Carolyn has been nominated for over sixty Detroit Music Awards since their inception in 1988, winning back to back wins for Outstanding Rock/Pop Songwriter in 2016 and 2015, Outstanding Acoustic/Americana Album in 2014, Outstanding Rock/Pop Album in 2010 and more. Carolyn first made a name for herself fronting the Detroit Energy Asylum with Was (Not Was), and with Patti Smith, but her early days as the lead vocalist, keyboardist, and chief songwriter for The Cubes while working as a DJ at NPR/WDET-FM Radio provided a springboard. Striho went on to perform with The Ramones, The New York Dolls, Was (Not Was), Iggy Pop, Steve Earle, and Tori Amos, and played the Detroit International Jazz Festival several times as well as Lollapallooza. Striho has also worked with Patti Smith numerous times — both on stage, two tours in the U.S., Canada and the U.K., and in the studio. Carolyn continues to share her brilliance, effortlessly moving from bluesy and jazzy to belted-out rock n’ roll. Her latest release, Afterthought showcases all of these styles, along with a few more that might surprise people. The musical poetry is undeniably Carolyn Striho and she manages to pull everything together with the ease of a seasoned pro and the flair of a master illusionist. She makes her own creative path and people love to follow where she leads.